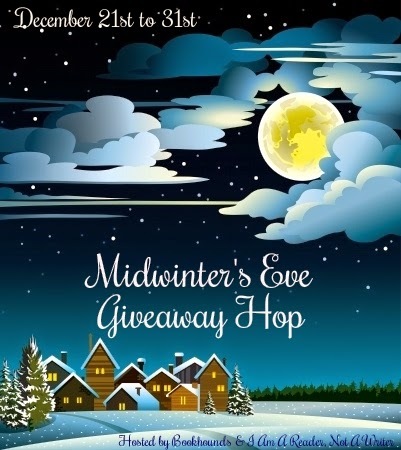 Kimber Leigh Writes: Midwinter's Eve Giveaway Hop!! Some of my favorite holiday things: holiday cookies, snowmen, the smell of a real Christmas tree, chocolate peppermint martinis, and of course, the look on my everyone's faces when they open their presents. This is a huge giveaway hop! Be sure to visit the other blogs on the Linky for more great prizes. Hi Kimber! Wow, thank you for the awesome giveaway! Happy holidays! Hop on over to my Midwinter's Eve Giveaway at From the Shadows for a chance to win a book and more. Happy holidays. I'm making my way down the list. It's so long-- yay! Thanks for stopping by! By the way, I will be on vacation when the winners of this giveaway will be revealed, so if for any reason I win, could you please give me a couple of days to respond? I should be back on January 4th. Sorry for the inconvenience and thank you so much for hosting this awesome giveaway!